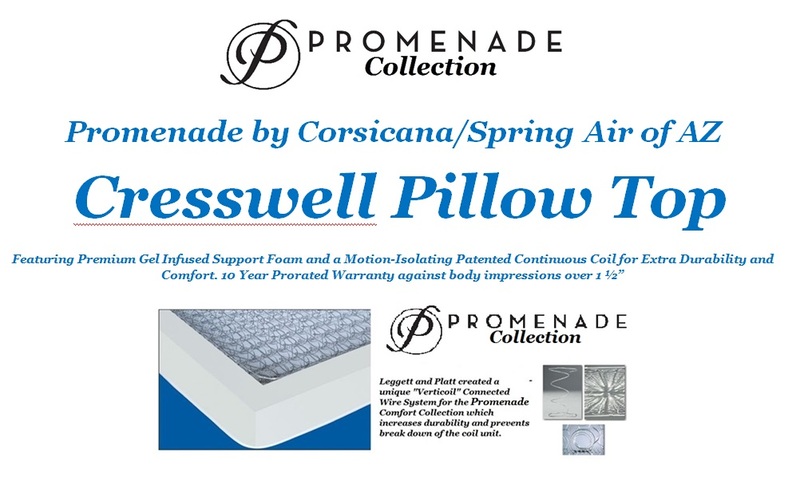 The Promenade Cresswell Pillow Top Mattress is designed with Side and Back sleepers in mind yet features a great price point and a Full Foam Encased Edge Surround. A Connected Coil "Verti-Coil" Middle by Leggett and Platt helps to prevent body impressions for many years. It is Manufactured by Corsicana under a partnership with Spring Air to help save costs for our customers. We recommend this set for young adults or guest room scenarios for those who prefer a softer top with a supportive core.